19BOX(JUKEBOX) RECORDINGS welcomes the melodic progressive sounds of Bulgarian producer, Allan Zax who has already delivered many remixes to us, with his first original release 'Azure Firmament EP'. 'Boundless Luminosity' finds him at his creative best with a smooth, melodic production that's nicely dialled for the dance floor. With 'Heaven Crystals', he really shows that there're no boundaries, as this beautiful driving melodic gem. Hailing originally from Detroit, Michigan, USA, and currently living in Germany, Justin Espada turns in a slick reworking of 'Boundless Luminosity' with beautiful atmospheres and old school elements. 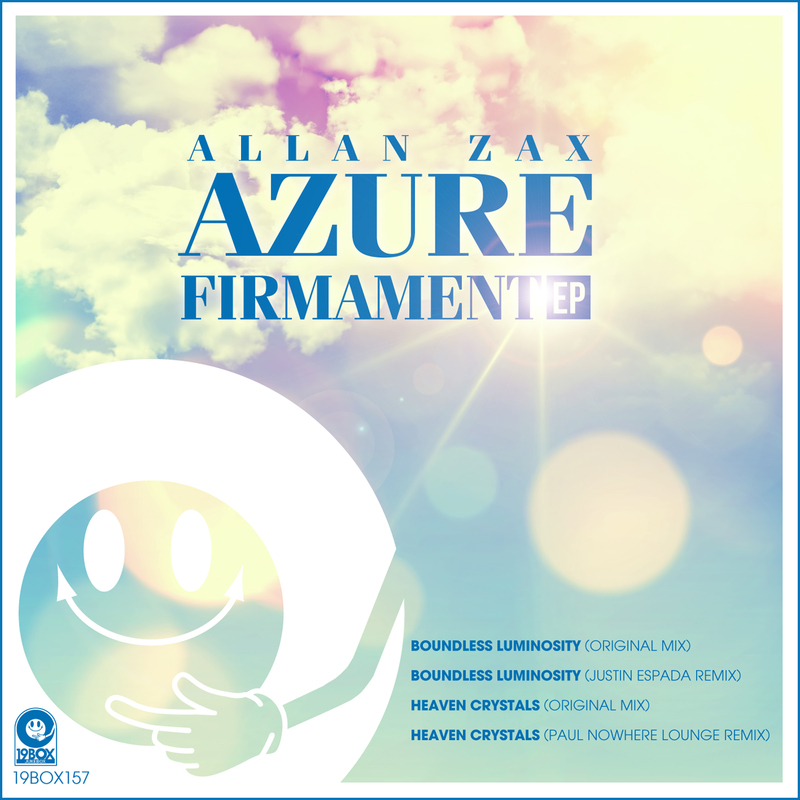 Finally, a producer and engineer from Bulgaria, Paul Nowhere who is a long time collaborator with Allan Zax such as Paul & Zax and Hymera, delivers a lounge style reworking of 'Heaven Crystals'.